U.S. Highway 550 in both directions north of Durango is closed because of the 416 Fire. The highway is closed between mile markers 34 and 48. Travelers are being diverted onto County Road 250, but this county road does not connect with Highway 550 north beyond mile marker 48. To Telluride: Take U.S. Highway 160 west to Colorado Highway 145.To Ouray, Ridgway and Silverton: Take U.S. Highway 160 west to Colorado Highway 145 to Placerville. Turn onto Colorado Highway 62 toward Ridgway. 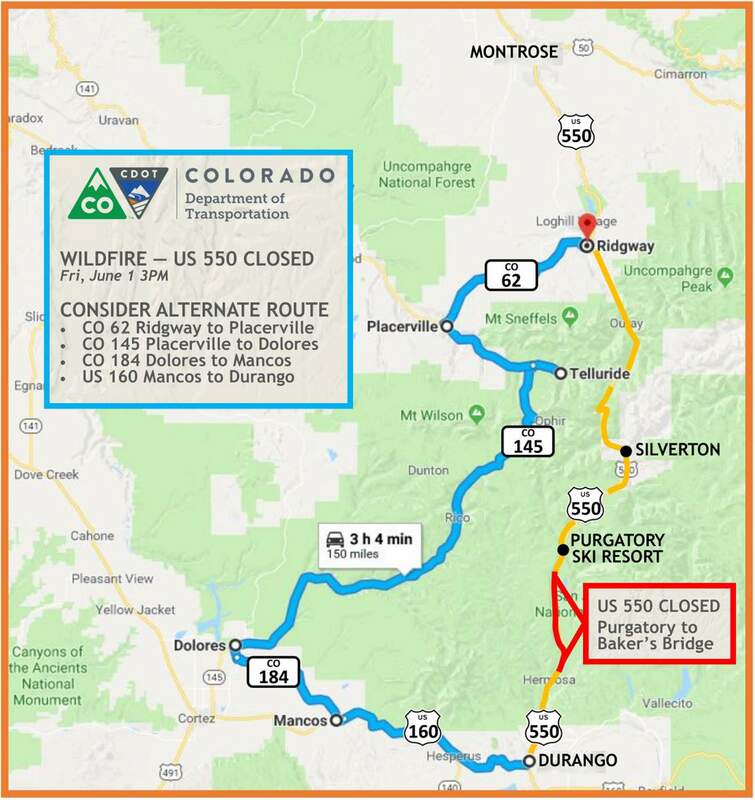 At Ridgway, take Highway 550 south over Red Mountain Pass to Silverton.For updates on road closures and the 416 Fire, follow Durango Herald on Twitter a @durangoherald or online at www.durangoherald.com.